Mainly used for larger flies. RIO’S TWIST CLIPS are ultra-fast, easy connection clips that allow anglers to change flies with extreme ease and speed, and prevents leaders and tippet sections getting too short. Simply tie the appropriate sized clip on to the end of your leader and either twist or clip on your fly. Multiple sizes of clip ensure that there is a clip size suitable for the majority of fly sizes. 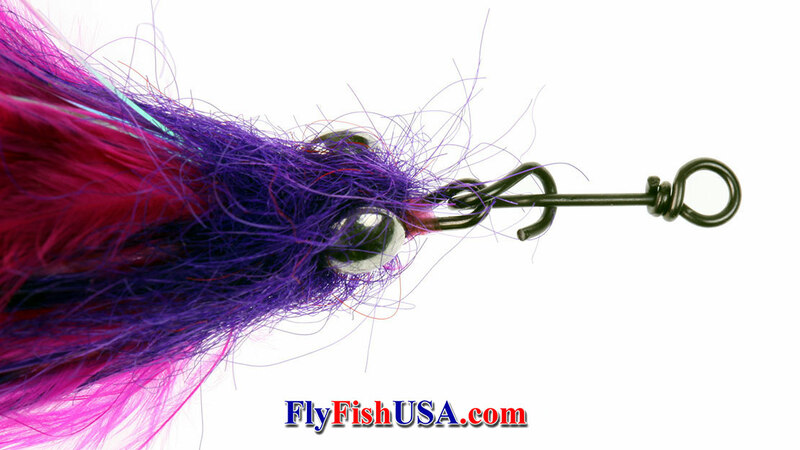 RIO recommends the RIO Twist Clips for larger streamers and Salmon/steelhead patterns. This chart gives a guideline of approximate fly size for each clip size.